VOICI LE SCANIA R 700 EVO JOHN DEERE. 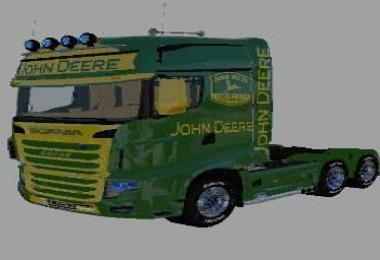 Warning: reverseLights.reverseLight#index in 'C:/Users/.../Documents/My Games/FarmingSimulator2017/mods/fs17ru_SCANIA_JOHN_DEERE_700EVO/scaniaR700Evo.xml' is not supported anymore. Use reverseLights.reverseLight#realLight and reverseLights.reverseLight#decoration instead.Warning (Script): Entity 'mirrors' has invalid type in method 'setReflectionMapObjectMasks'. LSBN ...? Vous n'avez pas toujours dit cela !